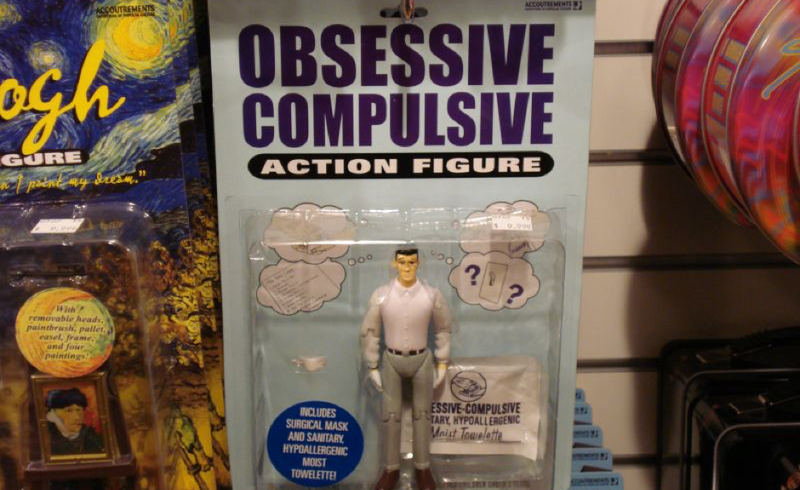 My interest in Obsessive Compulsive Disorder (OCD) is rooted in personal experience. For the purpose of spreading awareness however, I’m playing uninformed. To begin my conversation with Olivia Bamber, Media and Communications officer and helpline coordinator of OCD Action, I asked if OCD was simply a quirk. Is everyone who has OCD clean and organised? Absolutely not. For a lot of people, Olivia explains, there are no “obsessions to do with contamination or organisation”. The themes for them are far more taboo. “They could have intrusive thoughts about causing harm or coming to harm, or sexual or religious thoughts, that sort of thing.” Consequently, these worries are rarely discussed. Even for those whose OCD is closer to media stereotypes, symptoms can be distressing. What treatment helps a person to recover? “The therapy for OCD would generally try and gradually teach you to confront the thought rather than try and push it away. Because actually, often by pushing the thought away you can make it stronger. And Cognitive Behavioural Therapy (CBT), which is actually the therapy for OCD, would encourage you to allow that thought to come, and sit with that anxiety and actually let that anxiety go down on it’s own.” CBT, Olivia explains, “uses an element of ERP (Exposure Response Prevention) which is basically where you expose yourself to the trigger or the thought and you very gradually reduce doing the compulsion.” Some people also find that antidepressant medications (Specific Serotonin Re-uptake Inhibitors, or SSRIs) make the condition more manageable; especially during the often challenging therapy process.